A Spider-Man two-piece set for toddlers in warm places. 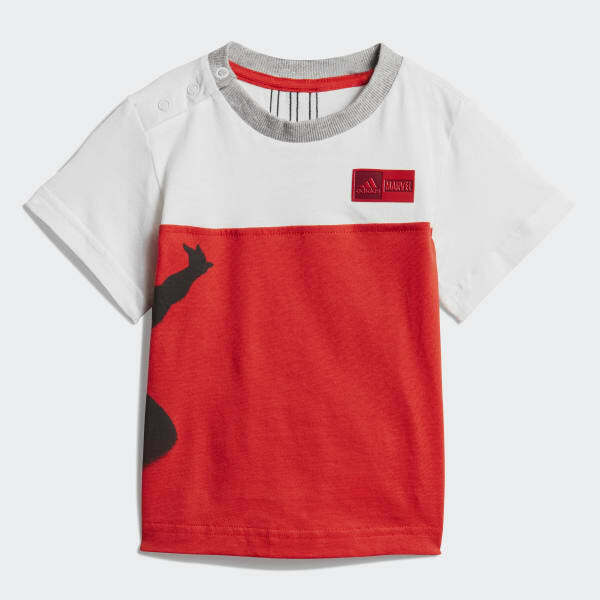 Inspired by Marvel's Spider-Man, this toddlers' set includes shorts and a t-shirt. The crewneck tee has snaps on the shoulder so it's easy to get on and off. The shorts have pockets at the sides and back. Spider-Man graphics splash superhero style on the shorts and tee.